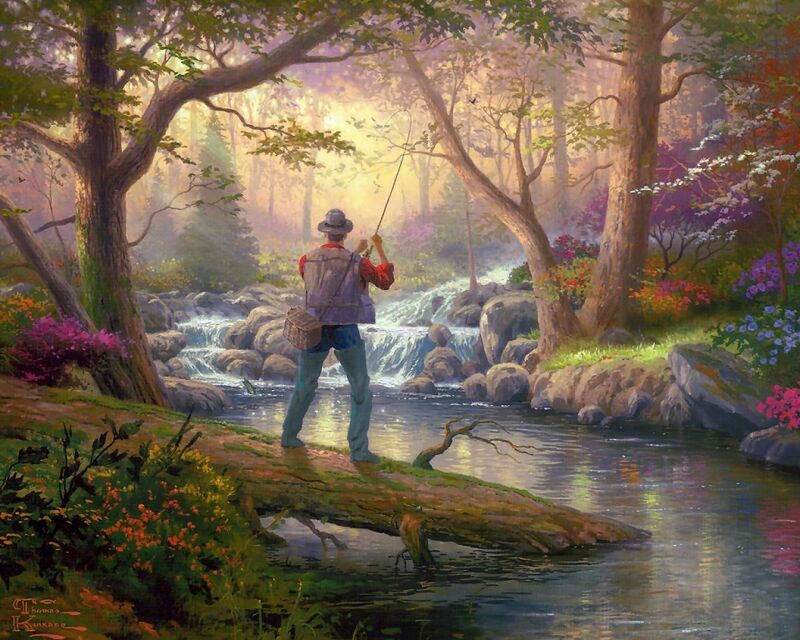 “Many go fishing all their lives without knowing that it is not fish they are after.” Henry David Thoreau. His own addiction started many years ago on the shores of Lake Canobolas in Orange, New South Wales, where aged not much over 10 he caught his first fish on a fly with his father. Trounson has come a long way from then, but his love of the sport is as strong as ever. 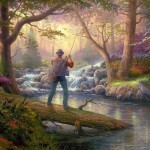 But his work keeps him very busy, and it is difficult to find the time to go fly fishing. Stem cell research is a hot topic and its findings crucial to so many enterprises, not just medical applications. Steve Williamson is a fishing guide, and runs Trout Fishing Adventures out of Jindabyne in the Snowy Mountains of NSW. He sees his fair share of what he calls “high-pressure corporate types” escaping up to the mountains, and says that the one constant he notes about the sport is its engrossing nature. The unique difference in fishing with a fly is that the angler does not use a hook baited with a worm or other tempting morsels, but casts a hook that has bits of feather, fur and yarn tied to it, made to represent the natural food the trout will be hunting for. The artifical fly can vary greatly depending on location, the time of year and even local weather conditions, and can range, depending on the season, from representing flying insects that may fly near to or land on the water surface, to their larvae stage when they live under the surface — represented respectively by dry flys and wet flys. Most fly anglers will agree that it is not just about catching a fish. Fly fishing, apart from being mentally relaxing and conducted usually in pleasant surroundings, appeals to the environmentally conscious as well, as the method is less harmful to the fish, and many anglers return their catch. Ric Innes of the Compleat Angler Group is reluctant to make too sweeping a generalisation, but contends that in his experience the average fly fisherman will try not to disturb the natural environment of a river or lake, and leaves little telltale evidence — no hooks or pieces of line lying about, no empty stubbies nor cigarette butts. “It’s the pursuit, not the catch, that is important,” Innes says. The prominent American fly fishing writer Robert Traver, when asked why he loves to fish, said it was “not because I regard fishing as being terribly important but because I suspect that so many of the other concerns of men are equally unimportant — and not nearly so much fun”. And it is the appeal of getting away to fish, “the other important thing that I do” as Alan Trounson puts it, that keeps drawing him back to mountain streams or lakes, not so much to rekindle but to relive the joy of casting a fly to a wild trout. When an opportunity presents itself to wet a fly, Trounson is more likely these days to head for somewhere closer to home, and has joined a club that allows him access to a series of pristine lakes near Ballarat, Victoria, no more than an hour from his home. Fly fishing clubs offer an easy way for those interested to get started, and Innes says there is a strong fly fishing club scene, with like-minded members keen to share experiences and knowledge. “They run events, casting competitions, fly tying lessons. You can learn a lot from clubs. But you’ll always find a lot of people who are into the peripheral items,” Innes says. “Some collect reels, some are only interested in tying flys. I know people who know the latin name of every insect, and their life cycles.” But it is important to remember, he says, to not be put off by the details. Fly fishing need never be seen as a daunting or expensive sport, Innes says, and his point is backed up by Steve Williamson’s experience. “I was 20 and keen on fishing, and I walked into a tackle shop in Sydney one day and said I was wanted to learn to fly fish,” Williamson says. He was shown a rod, reel and fly line and told it all came to $1500. “So I walked out,” he says. “Many moons later I tried another shop and the guy said ‘here’s an outfit, not the best but it’ll get you started; $100’. And even today, there are some excellent fly fishing outfits around for about $200, which is all you need to get started.” Williamson says you can even hire an outfit and get a two hour lesson to see if you like fly fishing. You will need a mid-range fly rod, 5-6 weight, weight-forward fly line, leader and backing, and a better-than-bargain-bin reel. Flys, sizes 14 to 12: Bead-head nymphs, streamer flys, Elk hair caddis, Royal Humpy, Royal Wulf. 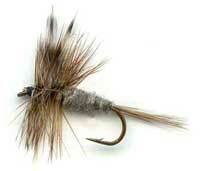 Fly fishing clubs offer free casting and fly tying sessions; ask at any good fly fishing shop. If you think a guide is the way, see fishingguides.org.au.